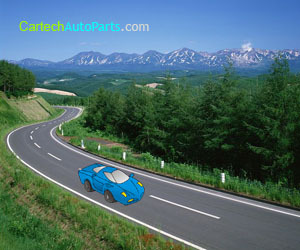 Programmers have become an extremely popular way to fine-tune the capabilities and performance of automobiles. Unlike other performance upgrades, programmers do not require you to go under the hood, or do any dirty work with the engine. Instead, the device plugs into the underdash diagnostic plug, the user answers a series of questions, and the intelligent automotive tuning computer inside of the Hypertech programmer does its job. The Hypertech programmer is one of the most powerful on the market, and is capable of instantly recognizing a vehicle's powertrain by reading the VIN number for detailed data on the engine model. The following information describes some of the basic features of the Hypertech programmer, while also explaining why it has become so popular during the past few years. After recognizing your vehicle's engine and obtaining data about the transmission and drivetrain, the Hypertech programmer will begin fine-tuning your vehicle's performance, regardless of whether you use 87 octane or premium 93 octane gasoline. The Hypertech programmer is capable of providing optimal performance even if aftermarket components have already been installed inside the vehicle. The main goal of using a Hypertech programmer is to enhance acceleration capabilities, improve fuel economy, and heighten the overall performance of the engine, transmission, and drivetrain. If your vehicle is not performing as well as it was when you first bought it, or you would like to push it to its maximum capabilities, Hypertech programmer will serve this purpose perfectly. Regardless of what type of vehicle you have, if you've been driving it for several years there is a good chance that the performance has decreased significantly, and the vehicle could therefore use a tune-up using a Hypertech Programmer. Using a Hypertech programmer is as simple as plugging the key into the ignition, and utilizing the friendly interface of the device. The first step is to start the engine, after which you would plug the cable into the Hypertech programmer, and then plug the other and into the diagnostic cable port of your vehicle, which is usually located under the dash. After plugging the programmer in, some information will appear on the Hypertech programmer's screen in the form of numerical codes that indicate possible outstanding problems with the vehicle's performance. If no numerical error codes are found, then the program will continue doing its job in tuning mode. If codes are found, you can choose whether to investigate them by pressing yes, or you can press no to ignore them. Regardless of whether you ignore them, the program will continue the process by fixing them, and then enter tuning mode. With each option you select during the tuning process the programmer will confirm that she would like to continue with that selection, so you don't have to worry about making too many mistakes. For more information on using the Hypertech Programmer, it is recommended that you refer to the user manual included with the device. Hypertech Programmers are sold in four main types – Speedometer Calibrator, Max Energy E-Con, Max Energy Programmer, and Hyperpac. All of these products include full support from Hypertech, read and clear diagnostic trouble codes, the option to restore the device to factory settings, and the ability to automatically update the programmer's firmware via the Internet. The latter three products include Hypertech's patented Max Energy Power Tuning Feature, and the latter two products include automatic transmission adjustments, top speed limiter, RP M limiter, adjustable cooling fan temperatures, and a speedometer calibrator. Although all of these products will help you tune the performance of your vehicle to some extent, the Hyperpac is the most robust solution, and is therefore recommended for serious automobile enthusiasts.